ISR is Back again to hit the face of modern music full on. 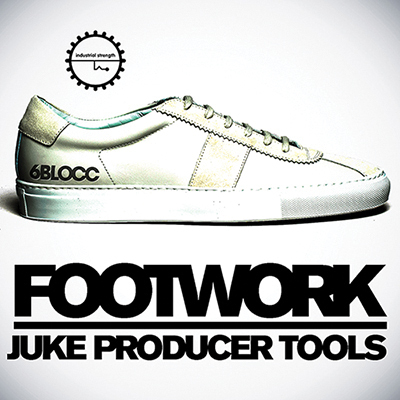 6blocc get's down to business to deliver our first ever Footworks/ Juke production pack for your studio needs. At ISR we are always on the hunt to keep your sample collection modern and on the forefront of Electronic Dance Music and this new sample pack from the mighty 6blocc is no exception. Footworks and Juke Production Tool Kit comes correct with all the Juked up sounds you need to get your next production moving and shaking. With artist and labels such as Traxman, Dj Rashad. Dj Roc, Planet-U. Lit City, Trax, and Hyperdub in mind, 6blocc delivers this new exciting style in one full on pack. Footworks and Juke are cutting their way thru the U.S underground dance scene like a buzz saw slicing thru wood. From the south side of the Chicago's hood directly into your Daw, 6blocc digs deep into the next tweaky tripped out sound that is Footworks and Juke. These new styles have been climbing up out of the ghetto's to hit Beatport's # 1 new style to look out for in 2013. With no dout this new style is like Trap, Hip Hop and Dub on speed. This sample pack boast's a tight collection of booming Kick Drums, tightly twisted up super Dub Bass shots and quick to the move 4 bar Tom loops for you to tare into. The drum shots and Fx are all in NI's Battery 4 and the samples are tempo marked at 150 Bpm. All the samples in this bass head pack are 24 bit 44.1khz Wav for easy use in any Daw. 6blocc's Footworks and Juke Production Tool Kit brings the circle of sound to your production party , so its time to jump in and get down on it yo.